Did you enjoy your Day of the Dead weekend? 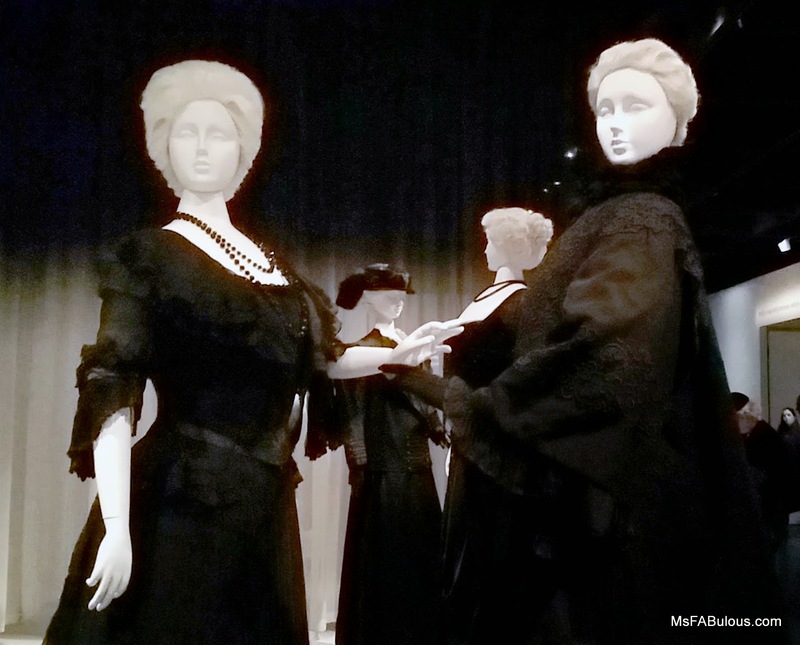 The Metropolitan Museum of Art’s fall fashion exhibit, Death Becomes Her: A Centuryof Mourning Attire brings you a show of Victorian and Edwardian Gothic fashion. In the 19th and early 20th century, the etiquette of personal style for paying tribute to the dead was dictated by strict fashion rules in polite society. While in mourning, your attire was expected to follow the latest silhouettes, the most luxurious fabrics you could afford and properly timed colors. Of course, those colors were mostly black, but after a time, they might evolve to purple, mauve and grey. New Yorkers are already known for the dominance of black in their wardrobe. The fashion set claims that black is slimming. This turned out to be quite practical for new widows, as the silhouettes and colors worn during the mourning period were both flattering and signaled to the rest of society that she was eligible again. In addition to the clothing on display, there were a lot of historical fashion plates (illustrations)and publications that documented the current trends of mourning styles that were de rigueur (mortis? Haha.) I particularly loved the mourning jewelry. There were intricate rings, brooches and necklaces that were embossed with family emblems, tiny photos or finely braided hair of the deceased. Memento mori if you will. They were so beautiful; they would make fantastic statement jewelry for contemporary fans. The merchandising for this exhibit was perfect. There was a great selection of books ranging from the expected academic mourning attire and artwork to the whimsical, macabre work of Edward Gorey. Variations on the mourning jewelry were offered for the fashion fans. 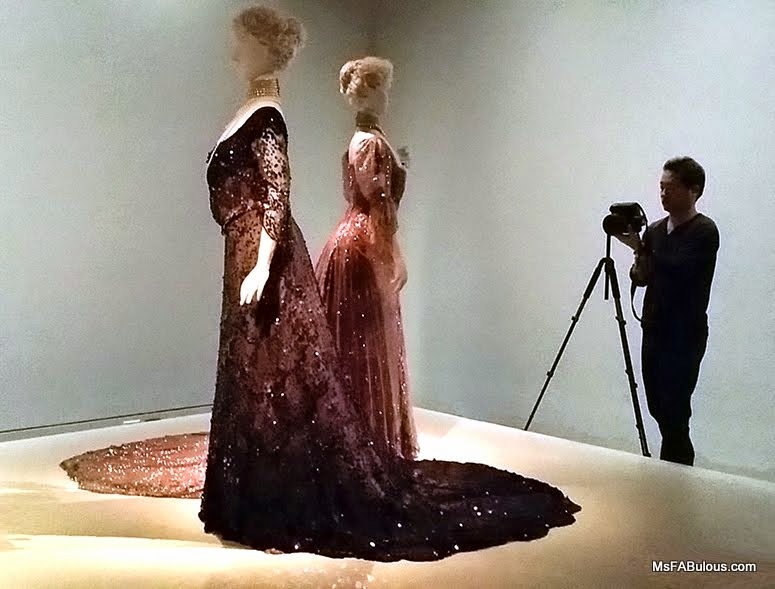 The exhibit will be available at the Metropolitan Museum of Art until February 1, 2015. 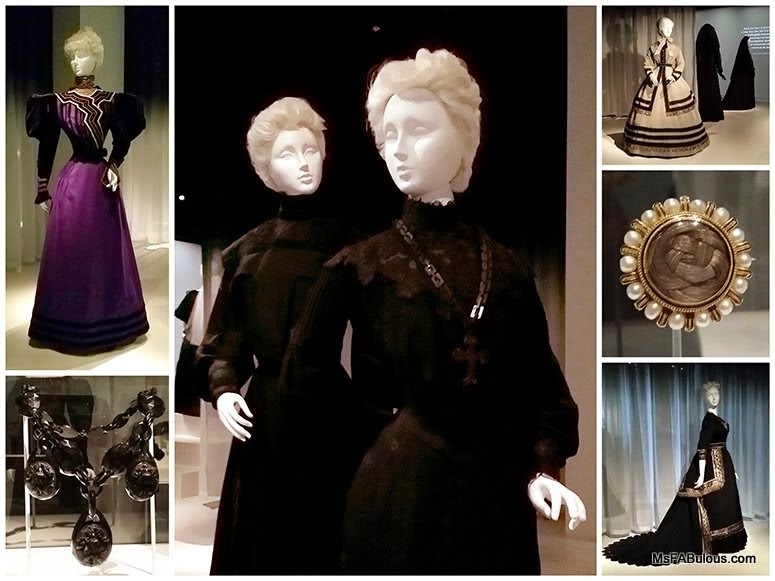 There is also a lecture, Women in Black: Fashioning Mourning in the 19th Century, on Friday, November 21, 2014 at the museum if you want to experience it in depth. Willkommen auf meiner Website http://www.taylorgowns.de.com/, können Sie hier gehen http://www.taylorgowns.de.com/ballkleider/ballkleider-lang.html, können Sie auch hier gehen http://www.taylorgowns.de.com/ballkleider/ballkleider-2014.html. Welcome to browse this site http://www.taylorgownshop.com, you can go here www.taylorgowns.co.uk/bridesmaid-dresses/purple-bridesmaid-dresses.html, you can also go here, you can also go here http://www.taylorgowns.co.uk/prom-dresses/graduation-dresses.html.